After payment you get a link by which you can get a license key with the game Overcooked from the official supplier - the company "Buka", to activate the system STEAM. This publication is intended for distribution in Russia. 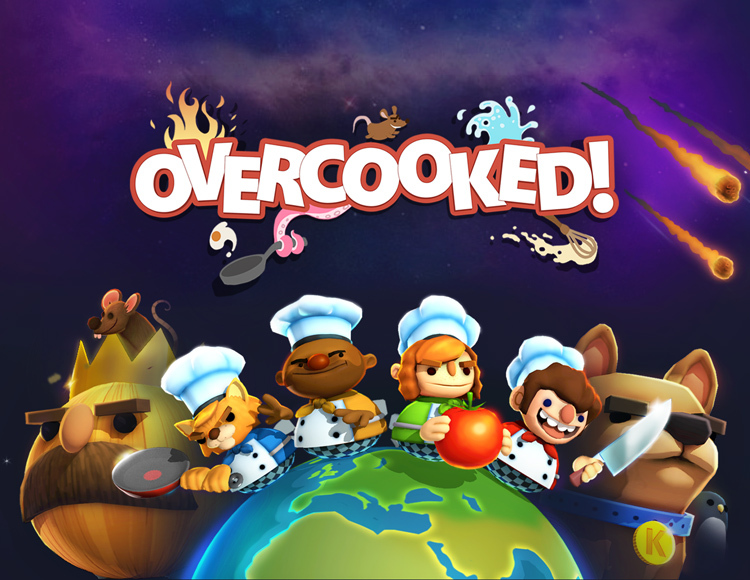 Overcooked is a fun and chaotic cooperative game supporting from 1 to 4 players, the main goal of which is cooking. Working as a team, players will have to serve guests a variety of culinary delights. And well, if it comes out to do before the guests start to get angry from waiting too long. Sharpen your knives and be ready to be at the craziest kitchen in the world! Onion Kingdom is in danger and only the best culinary masters can save it! Players have to go through a lot of crazy kitchens in their quest to become chefs. Conquer an ancient food evil, poisoning the earth! Play alone or with friends! Prove that your team is the most effective and invincible. Culinary quest. The Onion Kingdom is a big world full of cruelty and the most unusual kitchens. In the midst of all this, you and will seek the chefs laurels. Travel from kitchen to kitchen, each time proving your professional fitness. It will be more and more difficult to do this with every level. However, such a brave cook must cope with all the challenges. Ease of management / depth of immersion. Playing Overcooked is easy and pleasant. Everyone can join the culinary fun, but only a few are destined to stand in the team when the pizza hits the fan. Great game features. Play alone or cooperative, unlock new levels and characters. The most insane cuisine awaiting the arrival of the best chefs!